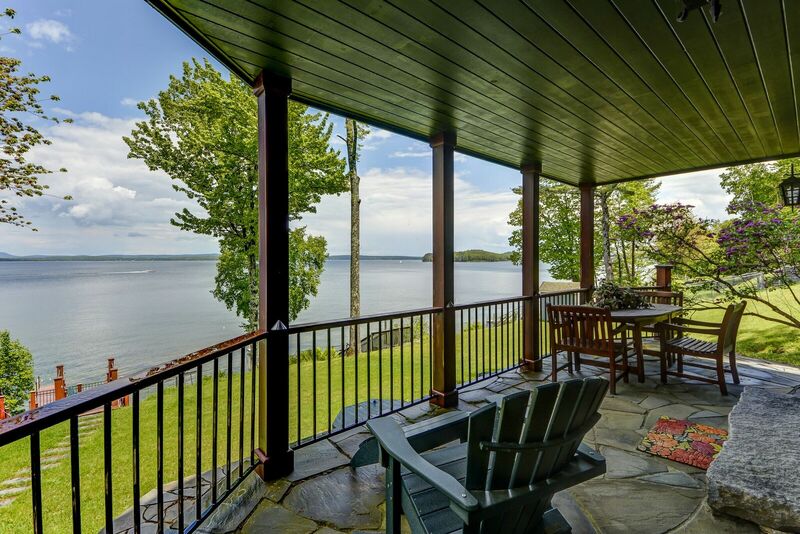 A 7200 Square Foot, 5 Bedroom Home along the Breathtaking Veasey Shoreline. 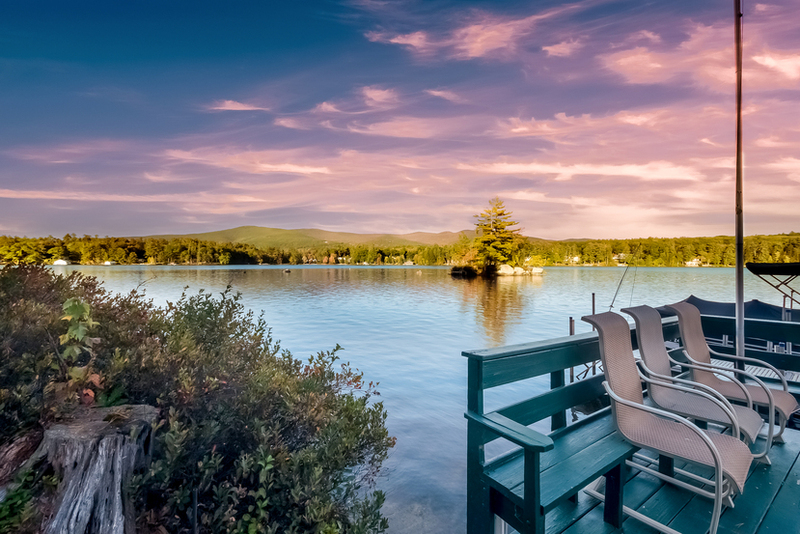 Call Nicole Watkins, Exclusive Lisiing Agent at 603.707.7575 for more details. PRICED WELL BELOW TOWN ASSESSMENT. 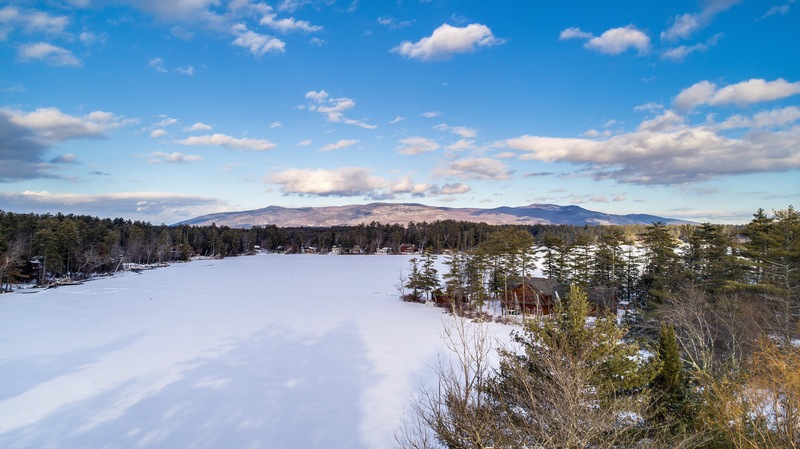 The panorama from this 3+ acre lot at the end of Veasey Shore Road encompasses Center Harbor Bay, the Ossipees, Mount Chocorua and "the Broads" stretching toward Wolfeboro. 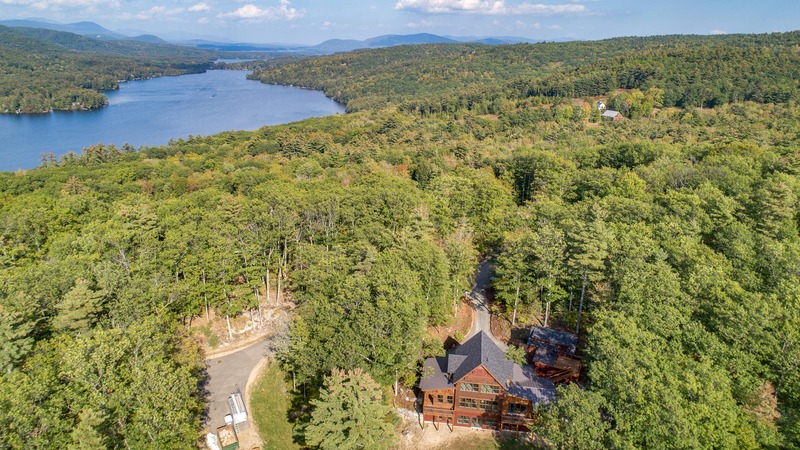 A paved, curving driveway on the roadside approach creates a setting that has exceptional allure. Garage parking for 6+ cars makes this property a premier property for car lovers. 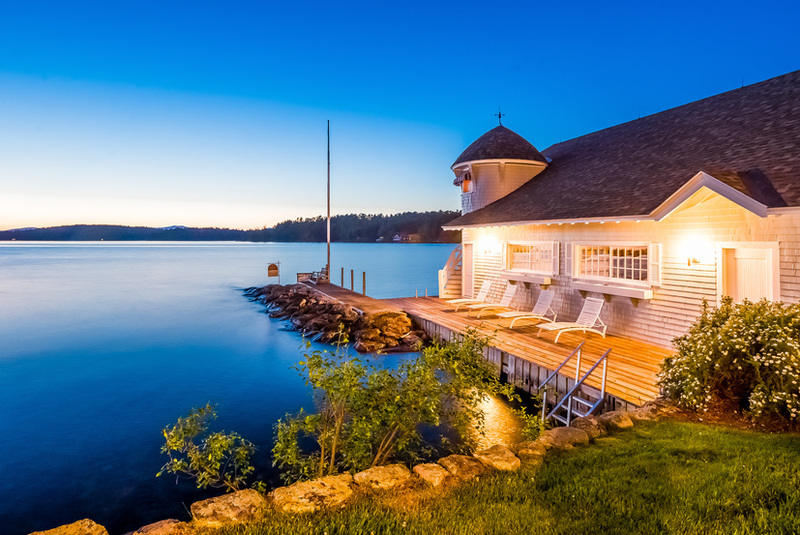 If you are a boater, this location is a dream. 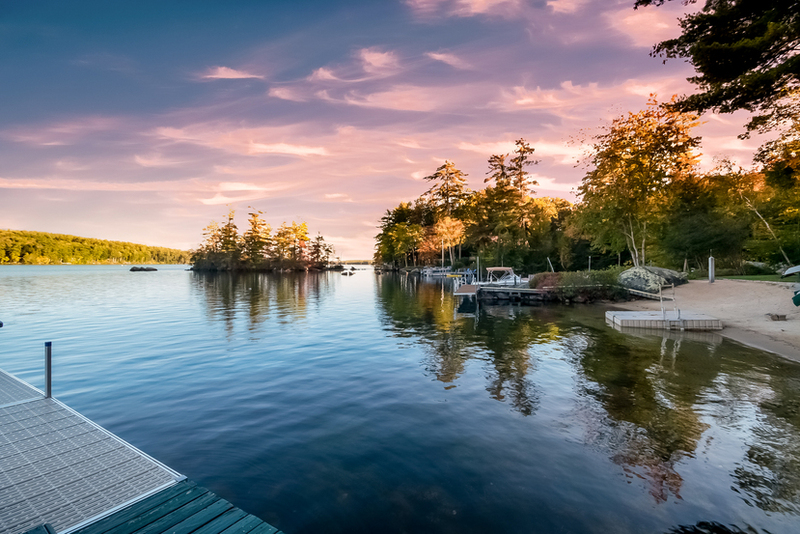 A new 30' permanent dock, patio and 2 decks lakeside share breathtaking views, privacy and provide ample room for large groups lakeside. 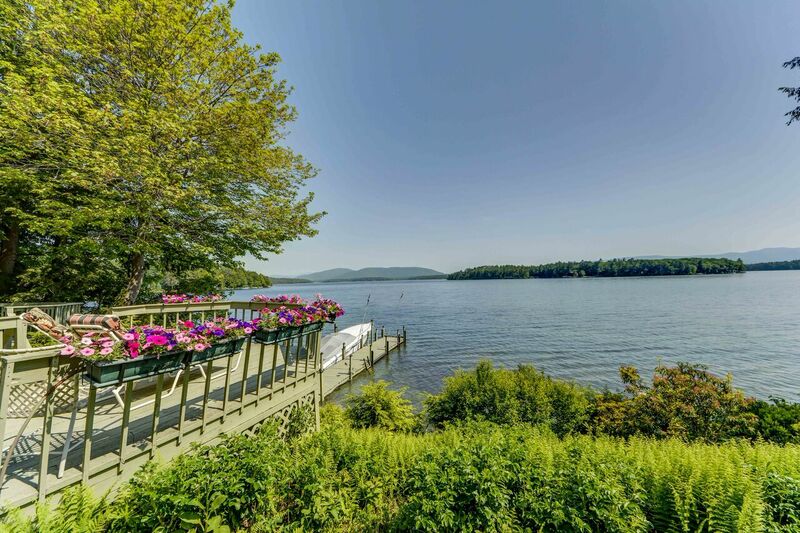 The lake location is close to downtown Center Harbor and central to Lakes Region amenities by boat. 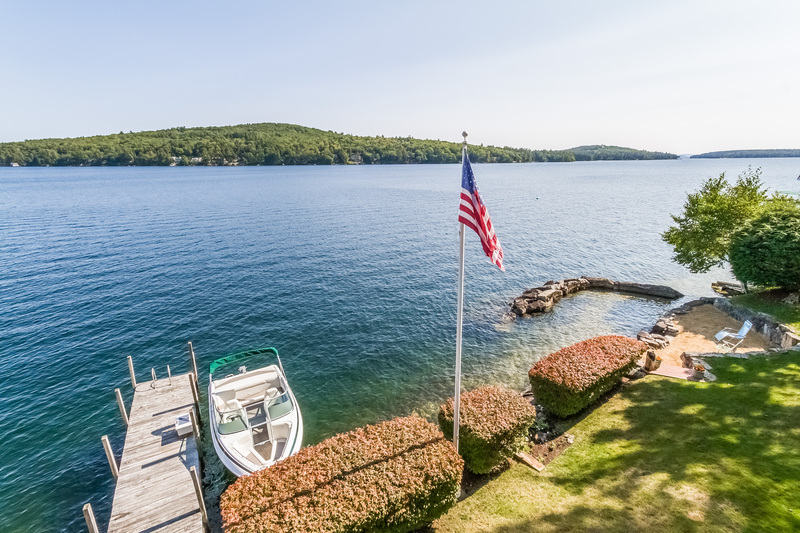 The shoreline is punctuated with luxury estate-size properties and the crystal clear, quiet water is ideal for swimming and kayaking with the expanse of crystal clear Winnipesaukee before you. 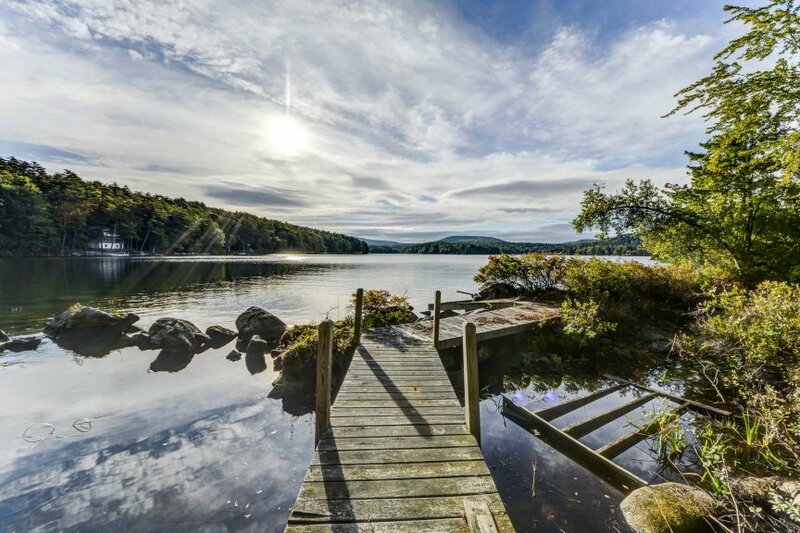 The long lake and mountain views of 144 Veasey Shore Road, Meredith NH belie the fact that you are protect from heavy winds by the exposure and the location far from the main throughway of the lake. 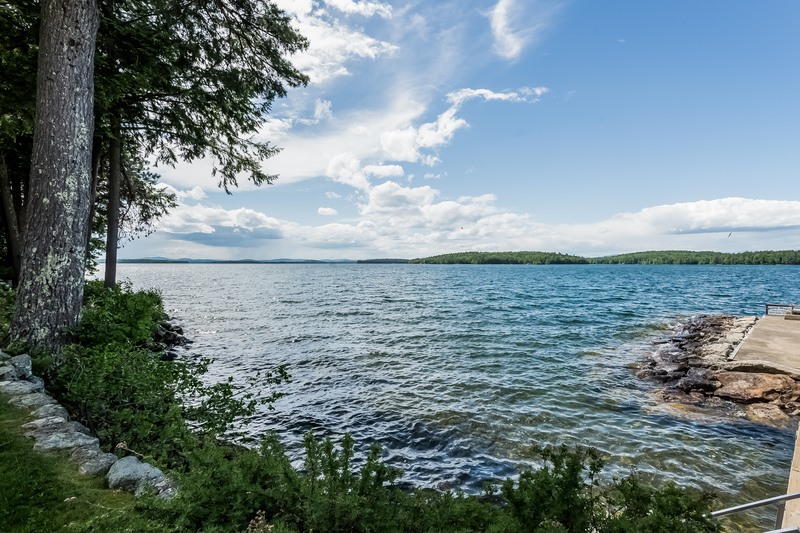 This 144 Veasey Shore Road video shows the beauty and tranquility of this location. 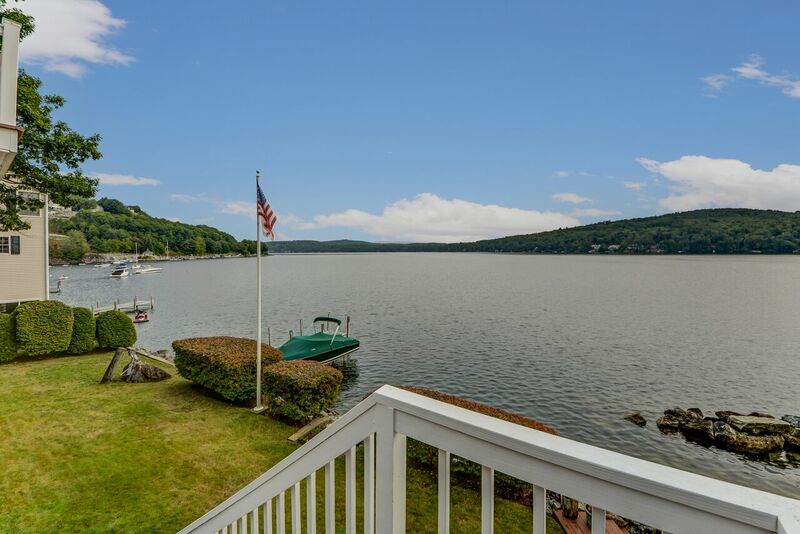 The shoreline, lawn, siting of the home, & lake location are all stellar. 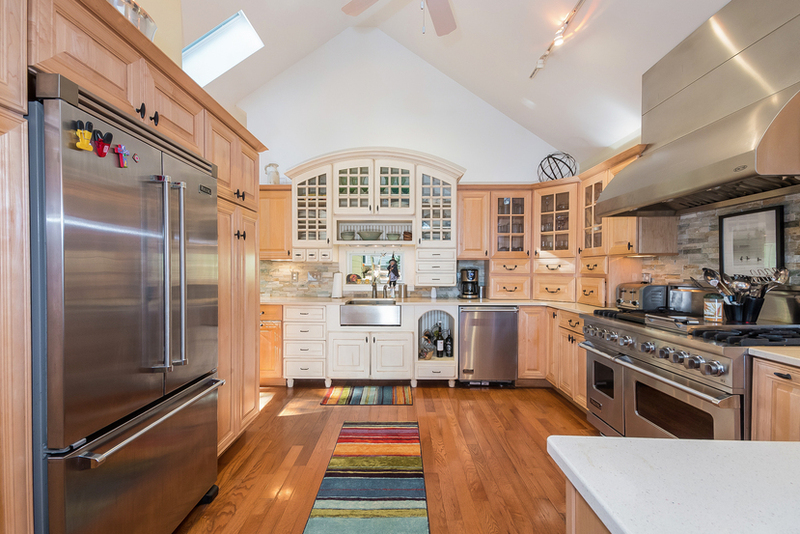 As for the interior, the open concept kitchen/family room has entrances to 5 rooms creating a beautiful flow. 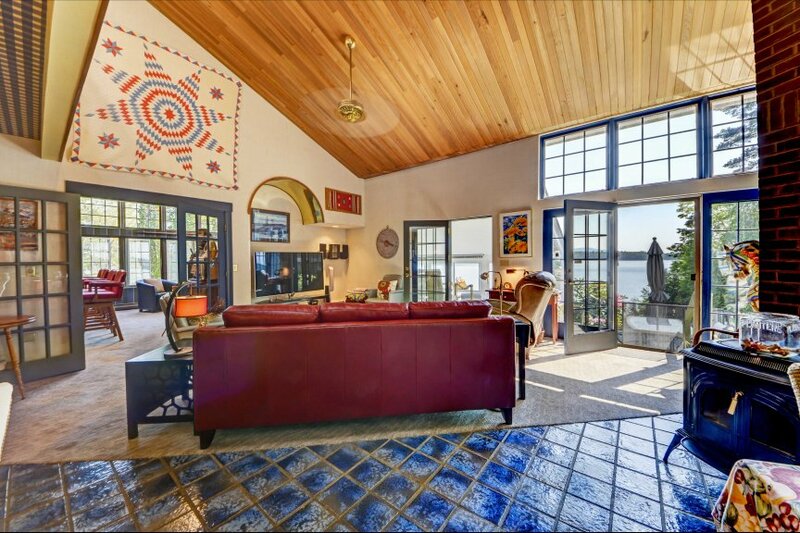 The sitting room/bar has 12 windows and French doors that open to the sun room. 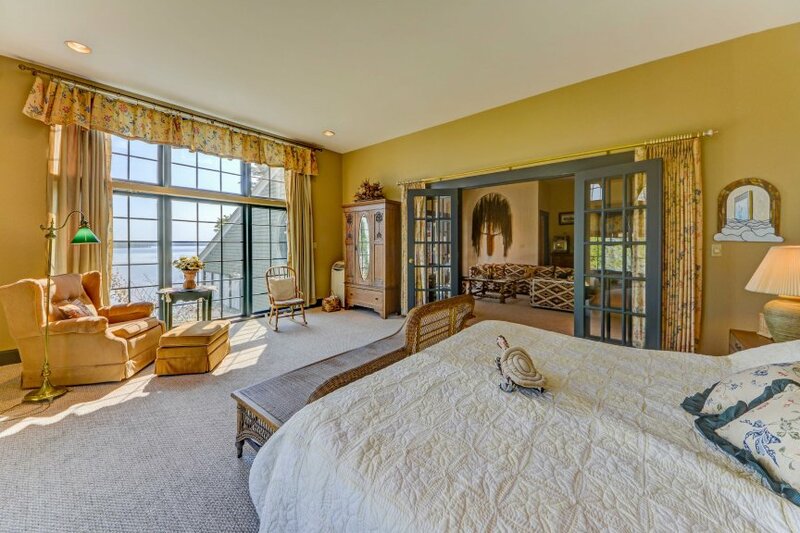 This 23 x 15 ft. sun room is ideal for relaxing bathed in sunlight reflected from the lake. The 16 x 27 ft. formal dining room has French doors and is perfect for elegant, quiet evenings. 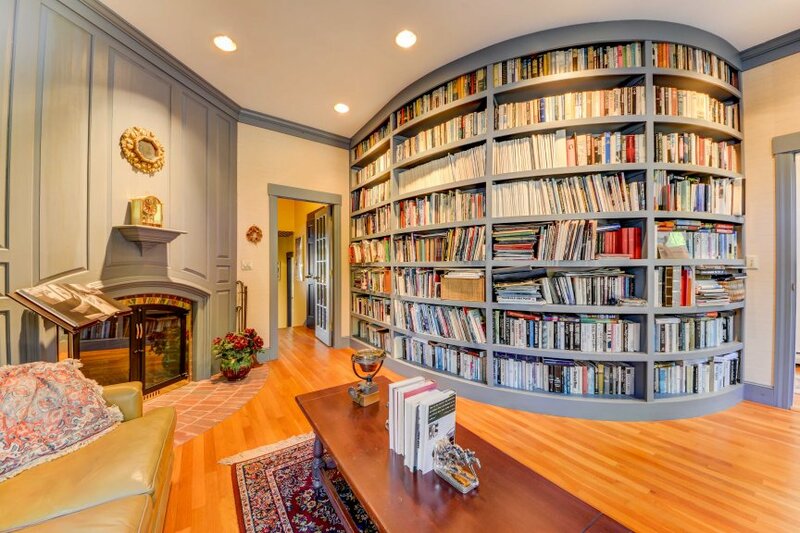 The library is on one side of the curving stair case and with warm, custom designed character. 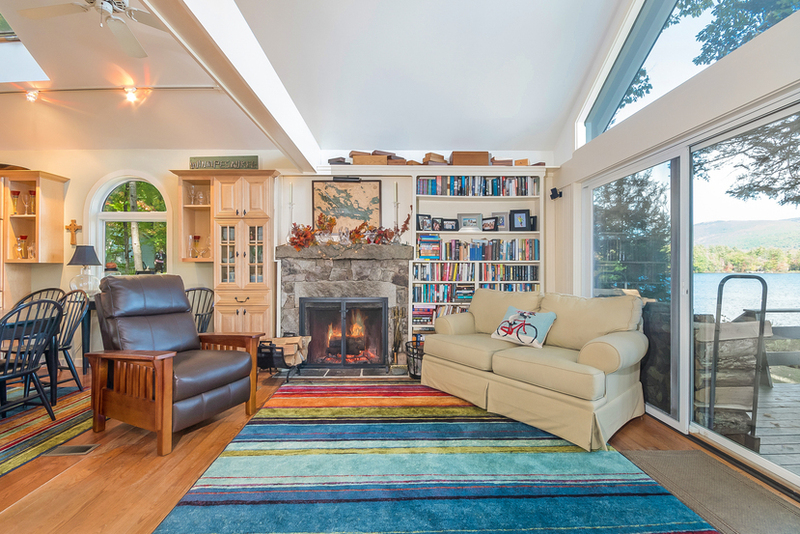 The hallway to the mud room and 34 x 35 ft. spacious garage is also accessed from the hall to the kitchen. Ceilings in the home are 10-16 feet high. Upstairs are bedrooms, family, and game rooms. 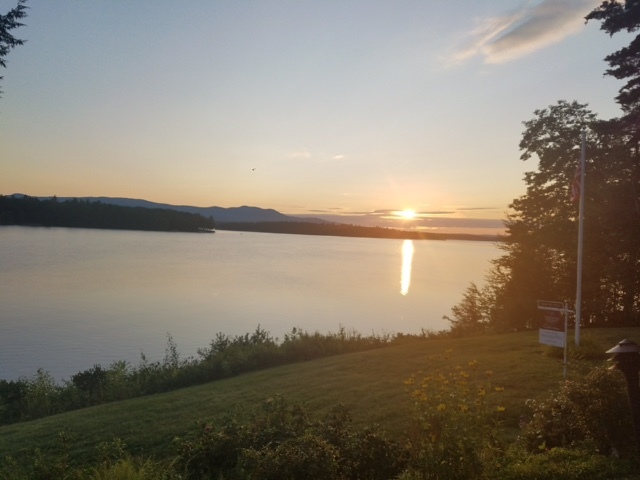 The location is 5 minutes to Center Harbor by car and 10-15 minutes to Meredith NH. 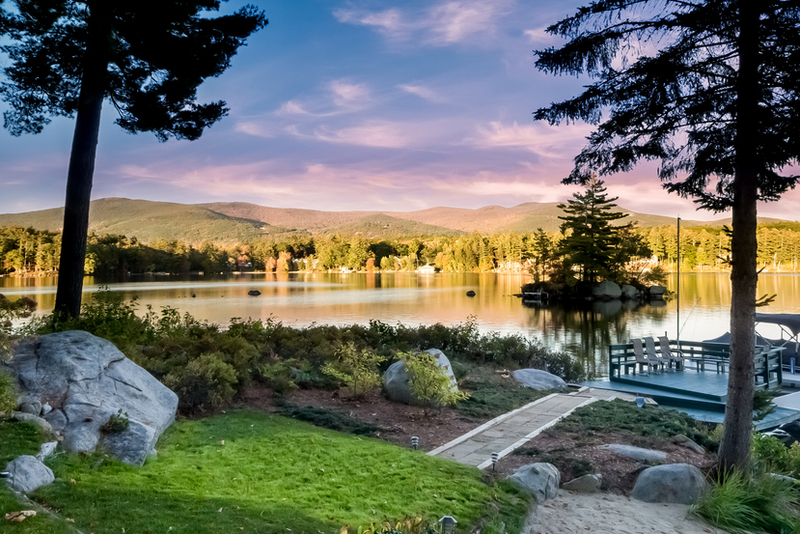 These 2 Winnipesaukee-shored towns offer many of the New Hampshire Lakes Region's most popular amenities. 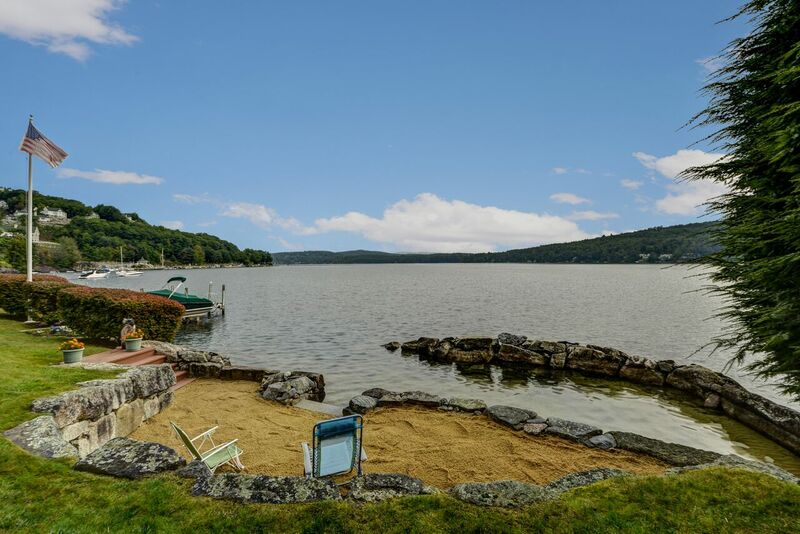 144 Veasey Shore Road is also within 30 minutes to Gunstock Ski Resort and the Laconia Country Club. Several golf courses are within a 30 minute car ride as well. 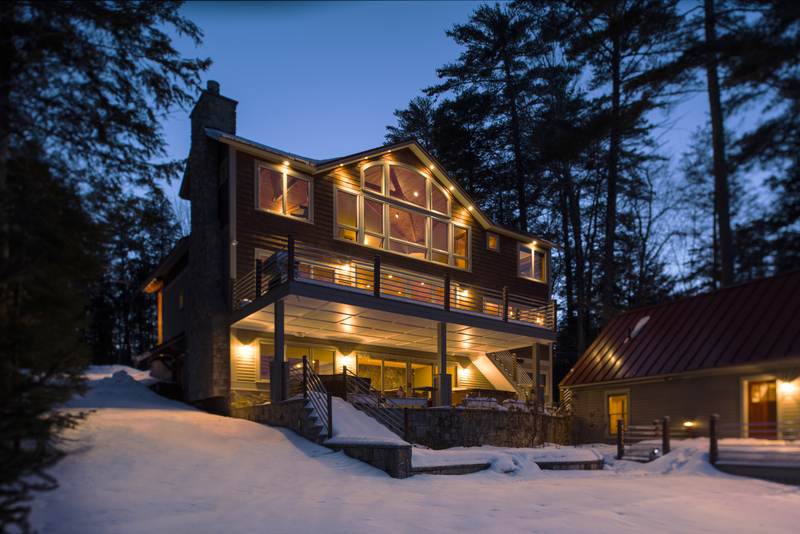 Nearby conservation land protecting the privacy and value of this property make it ideal for 4 season living and recreation. 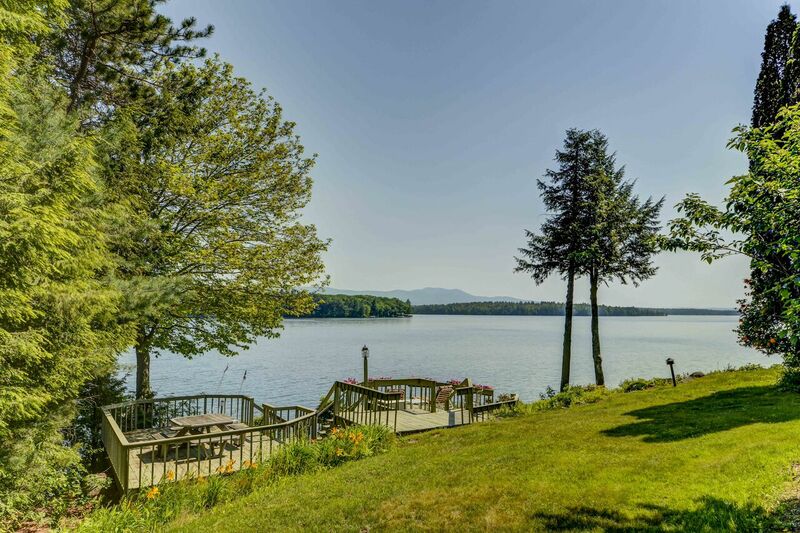 Call Nicole Watkins, Exclusive Lisiing Agent at 603.707.7575 for more details on this listing. 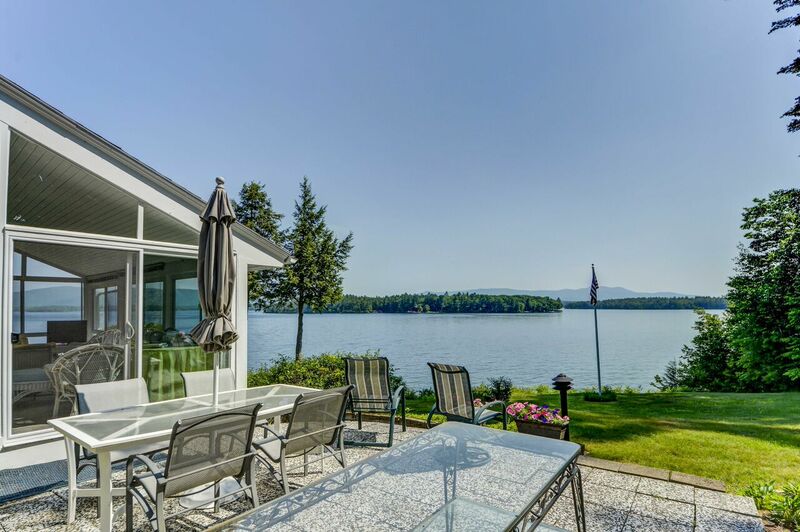 Feel free to search my website for more Winnipesaukee real state listings by type.